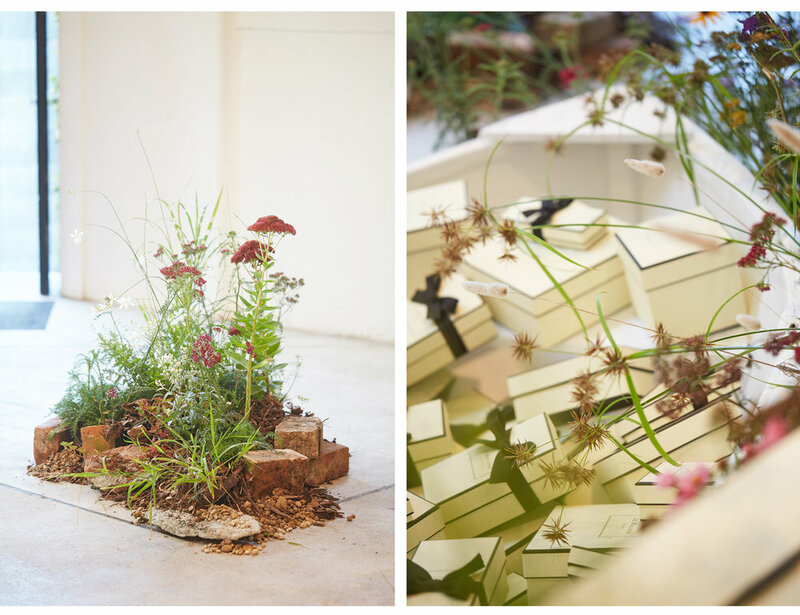 In late Summer 2019 Xanthe White Design had the pleasure to work on an installation for London based brand Jo Malone to celebrate the launch of their new perfume range, Wildflowers & Weeds. 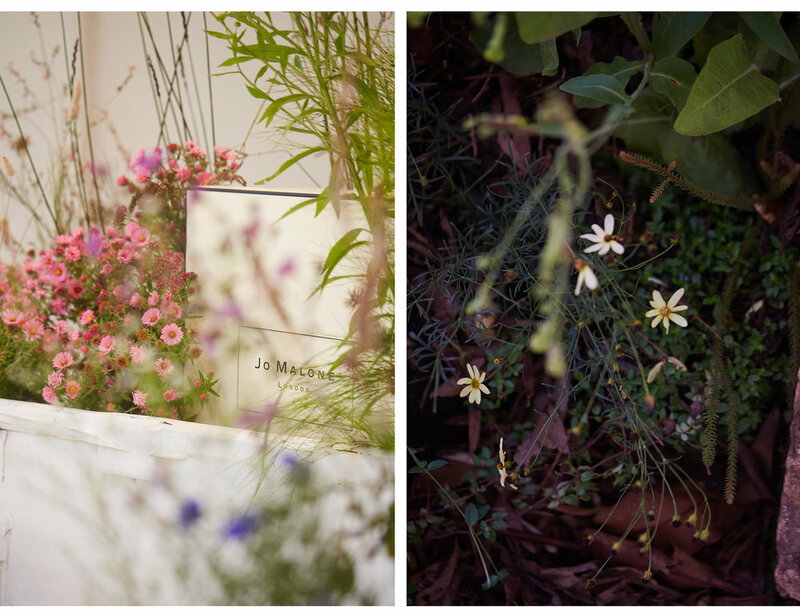 The scent range is inspired by a rambling English canal through the city, with wildflowers and weeds popping through the cracks, a sign that natures will to break through. 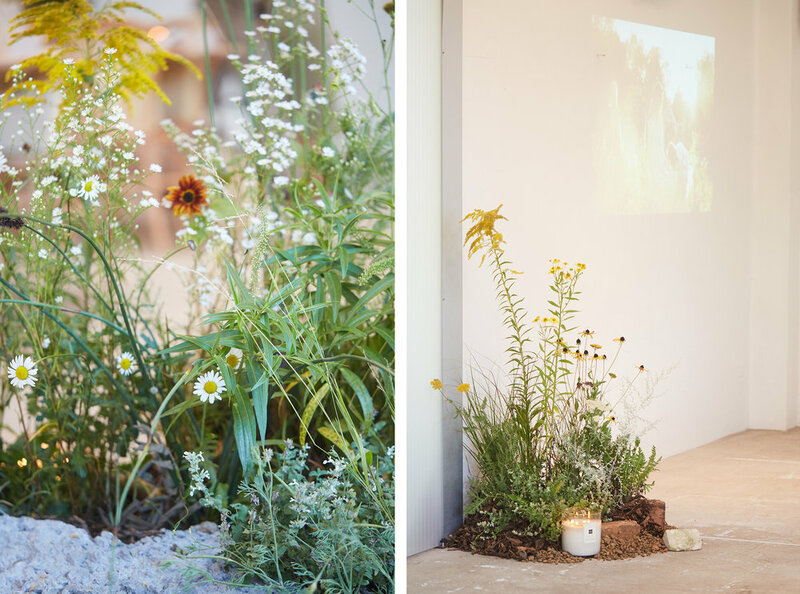 In response to this wonderful concept Xanthe White Design created a living display of cheerful planting, buried amongst rubble, with the central part of the design a dinghy run ashore. 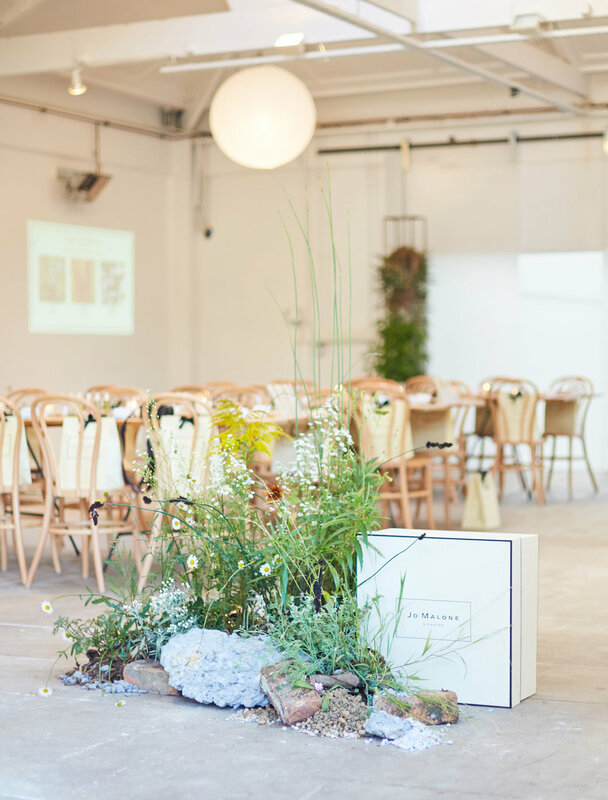 We used plants and weeds foraged from the wild and our own gardens, as well as a beautiful array of restios, grasses and blooms such as achillea, asters and rudbeckia, to name but a few.